Darby, the former Managing Director of Competition at NASCAR, brings a tremendous amount of knowledge and experience to USAC.25, most notably from his more than 30-year career span at NASCAR. In 1998 he was named the Series Director for the NASCAR Busch Series (now Xfinity Series). Three years later, Darby was promoted to Director of Competition for the Winston Cup Series (now Monster Energy Cup Series). 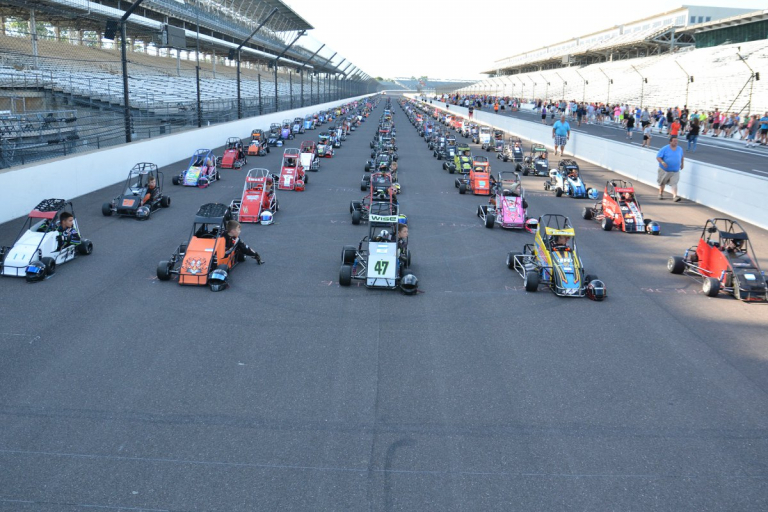 “The USAC.25 Series is a proven starting ground for so many that want to get more competitive in racing and maybe even have a shot at making racing a career option,” said the Rockford, Ill., native. “Youth involvement in motorsports is more important than ever to ensure a healthy future for the sport. I want to be able to use some of my experience to continue making racing quarter-midgets fun, yet safe and competitive for all kids and families involved,” Darby concluded. “We are very fortunate to be able to utilize all that John has to offer and share it with our USAC.25 members,” said Kevin Miller, President of USAC. “The sport of quarter-midget racing has grown, and we need to insure we are doing our job of keeping up with technical and safety advances that are available, all while keeping the sport af-fordable for all involved,” Miller concluded. Since 1956, United States Auto Club (USAC) has proven itself as being the most diversified motorsports sanctioning body in the world. It is the official sanctioning body of many of today’s largest racing series including its own suite of circle track series in Sprint, Silver Crown, Midget, Micro and .25 Midget racing (quarter midgets), Pirelli World Challenge, American Rally Association, International Snowmobile Racing, Robby Gordon Stadium Trucks, Radical Racing, Ultra 4 Racing, Formula Race Promotions and Karting. USAC has over 15,000 competitors racing at more than 500 sanctioned events globally.